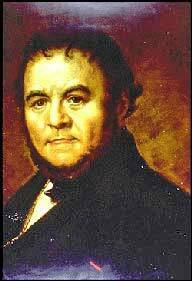 Marie-Henri Beyle better known by his literary name of Stendhal was the voice of the Napoleonic age. His novel The Red and the Black is the best fictional depiction of France after the fall of Napoleon. In the character of his hero Julien Sorel, he created one of the greatest figures in all of nineteenth century fiction. Many critics believe The Red and the Black is among the ten greatest novels of all time. Louis XV Great grandson of Louis XIV. Succeeds at age 5. Louis XVI. Grandson of Louis XV. His wife Marie Antoinette. Monarchy very unpopular even though king was good-willed and reform minded. May: Meeting of Estates General (national parliament). June 20: after king suspends meetings, Third Estate(ie. Middle Class) Continues meetings in a tennis court (Jeu de Paume). Tennis Court Oath. Promise to stick together no matter what. July 14: Storm the Bastille. Paris in hands of the mob. The National Convention. Elected by universal suffrage. Votes to execute king. Execution of King Louis XVI. Beginning of the Terror. Robespierre. Danton. Marat. Reaction and the fall of Robespierre. July 27: execution of Robespierre. The Directory. Small oligarchy controlling. Rise of Napoleon thanks to friends in Directory (Paul de Barras). New constitution submitted to popular vote. Established Consulate. Napoleon becomes First Consul, term of 10 years. Napoleonic reorganization of all France. Prefectures. The Empire. Dec 2: Proclaim Napoleon and Josephine Emperor and Empress. April: Napoleon abdicates and retires to Elba. Louis XVIII. (Born 1755, Louis XVII never ruled). Louis was one of two surviving brothers of executed Louis XVI. Louis put back into power in Paris by the allies. Thus his rule is compromised from the start by this ignominious beginning. Massive discontent in France with this "restored" rule of Louis XVIII. Napoleon knows what's going on. The Hundred Days. March 1-June 22. Napoleon escapes from Elba to Cannes (starts with 1500 men), Gathers supporters. Marches to Paris, thousands join up. Soon back in power. Waterloo: all Europe unites to defeat Napoleon again. He is shipped off to island of St Helena. The Second Restoration of the Bourbon monarchy in person of now greatly tarnished Louis XVIII ("in the baggage of the allies"). Louis, easygoing, reasonable, no leader.The White Terror. Monarchist reaction in France especially in the south and the provinces (this reflected in the extreme repressive atmosphere in The Red and the Black). Monarchists ( called the Right, or Conservatives, or Ultra-Royalists) goal is to get back at all the revolutionaries and Bonapartists who had been running the country since 1789. All over France there is a revenge going on for past crimes committed against the royal regime pre-1789 (Ancien Regime). Charles X, King of France. Charles is another brother of the executed Louis XVI. France seething with class warfare and post-revolutionary revenge. King trying to maneuver among all the factions. Politics presents options all way from true republicanism to extreme-monarchism. The July Revolution In reaction to elections that returned an anti-monarchy majority, king attempts to rule with edicts re establishing royal control. Produces reaction led by some republicans such as Lafayette (friend of the US). Middle road Liberals panic and settle for a new king, called the "Bourgeois Monarchy" of Louis-Phillippe,who rules 1830-1848 in what was to be a true constitutional monarchy. Now the real monarchists are mad. (the "Ultras") and so are the republicans. Louis-Philippe (1773-1850) Louis comes from the Orleans branch of the royal family. Chosen by middle road Liberals (yes as in The Red and the Black "Liberals") to create an orderly middle-class government and to hold back the real radicals (radical socialists, radicals of all kinds).All over France there are radical movements. Workers movements. Strikes. Battles between radical and monarchist conservative movements. He never has a chance. He is mercilessly attacked by all of the radical press (Left) as a joke. Cartooned and lampooned. This is period of explosive industrialization thus this gov endured radical social changes that required radical action. From 1830 to 1847, number of steam engines on the RR went from 600 to 4853. Revolution Bad economic times and growing social discontent erupts in Paris in February with students and workers taking to the streets and putting up the barricades to overthrow the government.Feb. 24, Louis-Philippe abdicates in favor of his grandson ("The Count of Pairs") but no one pays any attention and soon there is proclaimed the Second Republic. April Hold national elections to create new republican government.June Insurrection. In Paris mobs out of control. For three days in June there is chaos with the bloodiest street fighting France had ever seen. A huge reaction sets in. Everyone searching for order.Nov: New Constitution which provides for direct election of a president. Dec: Presidential election. Candidate of the right, Louis Napoleon Bonaparte, nephew of Napoleon, and beneficiary of the flowering of the Napoleonic legend and the desire for a "strong man" wins! Dec 20. Inauguration of Louis Napoleon as President of the French Republic. Coup d 'Etat. Dec. 2: Louis Napoleon organizes a genuine coup d' etat, opponents rounded up. Phony plebiscite used to show the people wanted one-man rule (used later by Hitler and Mussolini). Legislature disbanded. The Second Empire. Napoleon's nephew sets up new one-man rule.